I’m over the moon thrilled and elated that summer is right around the corner! This year, I’ve got something so cool planned. So totally awesome and fabulous, I can’t stand it. I’ve just finished up–after months of drafts!–the plans for our Smart Summer Challenge 2018. And it’s going to rock. Totally, 110%, completely going to rock. 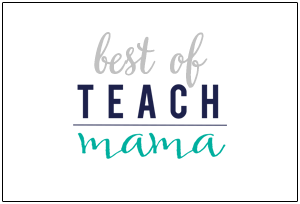 For the last nine years, I’ve hosted some sort of summertime learning challenge over at teachmama.com, and this year will be no different. 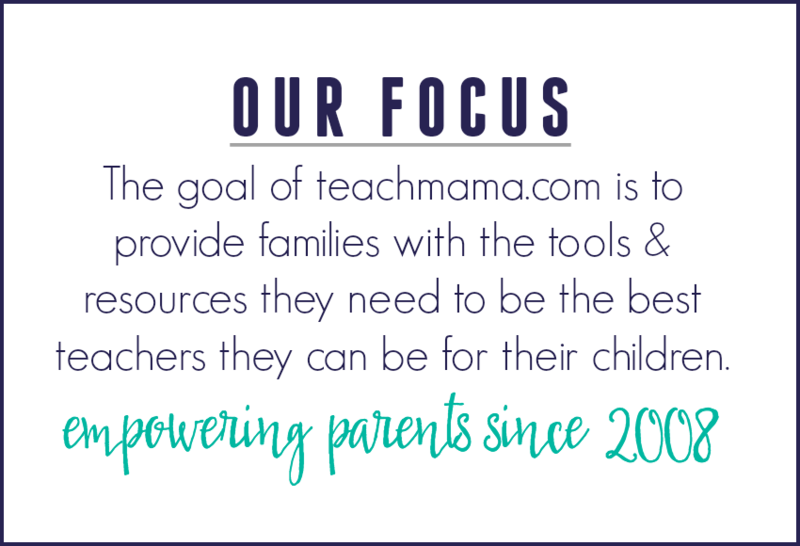 My focus is always the same: to make learning a natural part of my kids’ every day–something that the kids actually want to do. 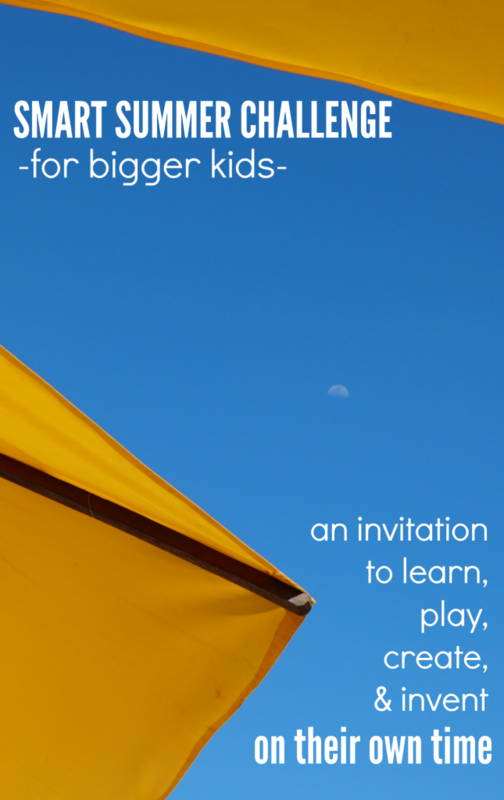 I don’t create full-day summertime mom-camps, so I want to let you know that off the bat. I know there are plenty of places you can get that kind of thing, and I know some really great people who do that. 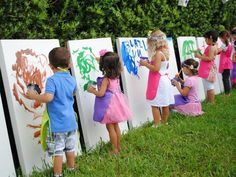 Honestly, I love my kids and love the summer, but I don’t want to spend all day engrossed in activities with my kids. It’s not great for my sanity, and it’s not great for my kids, either. They need free time. They need time with their buddies. They need time away from mom, who’s always up in their grill about making their beds and putting their dishes in the dishwasher. And? I have to work. So there’s that. 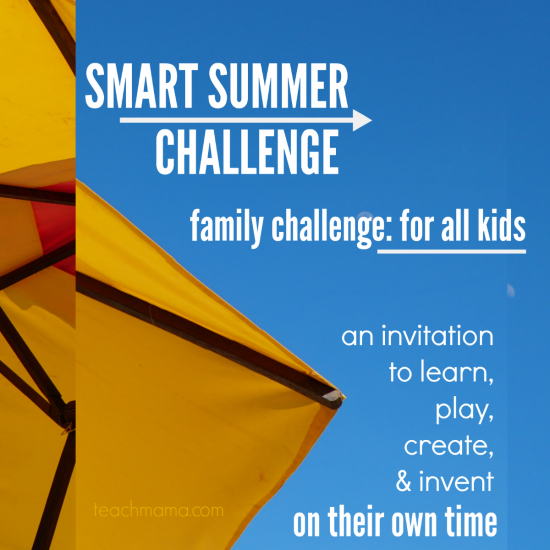 The Smart Summer Challenge is simple. It’s about giving kids something fun and exciting to do each day. On their own time. 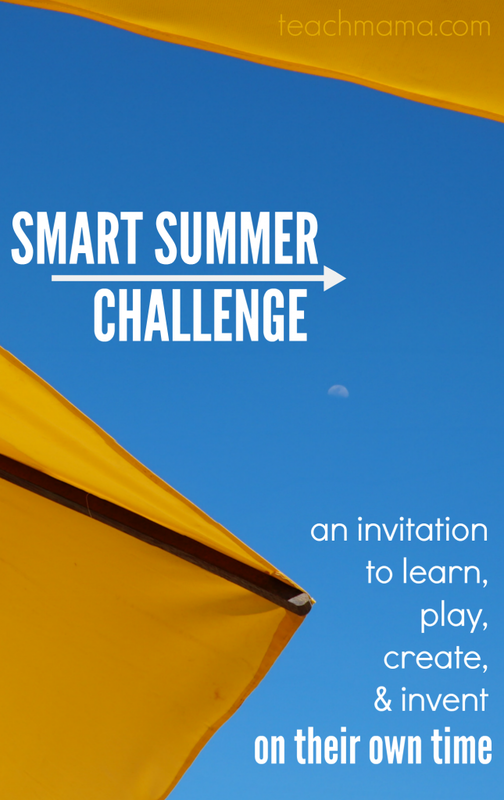 The Smart Summer Challenge is just that: a challenge. I challenge you to put something fun out on the table for your children to do every, single day. And here’s what’s awesome: I’ll give you all the blueprints for the entire summer. Everything you need for each day of the week, Monday through Friday, for 7 weeks. Actually, there’s a bonus week included. So 8 weeks total. Bam. 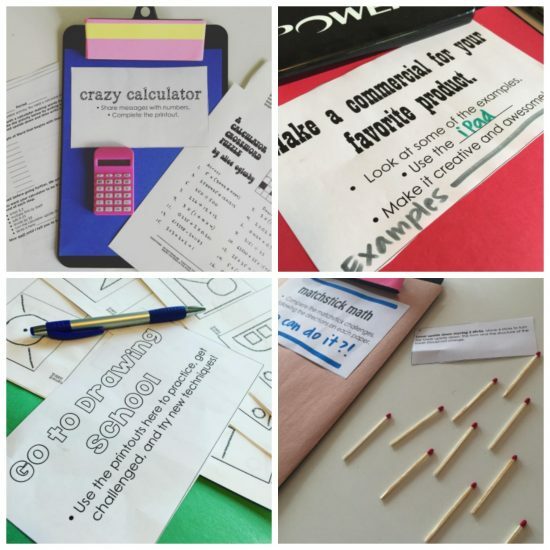 Each Tuesday, challenge members will receive detailed resource pages packed with the supplies you’ll need, the printables, and each and every daily activity for your child for the next week. 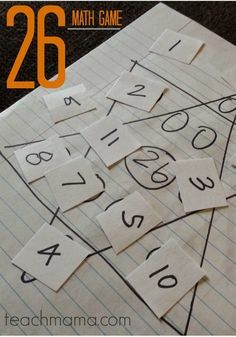 a printable for the table for each day so your child knows what to do! For less than $4 a week, you’ll have an activity to keep your kids busy for 7 weeks. Seven whole weeks. It will be the best summer ever. Do you know why? Because it’s going to be a Smart Summer. 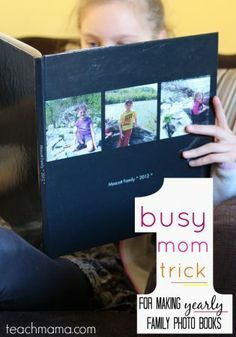 This system of putting an activity out on the table each day works for us because I have three different kids–14, 12, and 11 years old–each with their own personality and plans. So each one grabs an activity when it works for them–maybe before swim team? maybe after? maybe early in the afternoon? maybe right before bed. I want this summer to be fun for them. And I want them to have some say in what we do each day. And though they had their own ideas about what they wanted their summer to look like (see below! ), I added, adapted, and think they’ll be pretty happy with what we have planned. 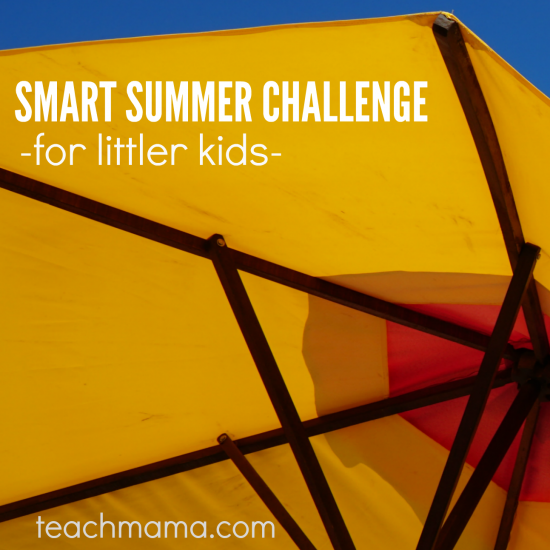 Despite what it may look like, the Smart Summer Challenge allows for so much flexibility in our schedules. They’re short activities that can be done independently (for the most part), so if something fun comes up in our schedule, we drop and go. 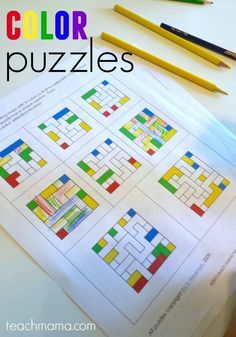 How to I get the kids to actually sit down and do the activities? 1. Signing a Smart Summer Challenge Family Agreement helps. Really! 4. At any given time, on any given day, I have been known to toss a few gems into the gem jars of people who have been spotted doing the activity. Not every day, but some days. 5. 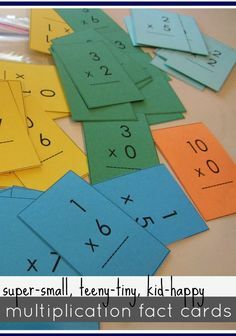 Maybe an extra screen time card if they really rock out an activity? 6. I’ll join them. Really. These activities are so fun. I want to do them all. Kids–I truly believe–like to hang out with their parents. Especially if their parents are kinda cool or funny or at least act like they’re cool or funny. I like to hang out with my kids, so when they sit, if I can, I’ll join them. What are the ideas and what makes them so fun? The activities are hands-on. They’re cool. They’re creative and crafty. They’re unusual. They’re familiar. They’re old and they’re new. They’re digital and battery-free. They’re indoors and outdoors. It’s a mix, and that keeps them going. I provide you with a 7-week calendar. You do with it what you want. Use all 7 weeks. Or use 5. Or use 3. Use what works for you. The 2018 Smart Summer Challenge is HERE!!!! 1. There’s a totally FREE 7-week calendar for you! Everyone gets the calendar. You choose which one will work best for you: 4-7 years or 8-14 years. Sign up for either that makes sense for YOU. The Yellow Calendar is for children ages 4-7 years old. . .
. . . and the Blue Calendar is for children ages 8-14 years old. 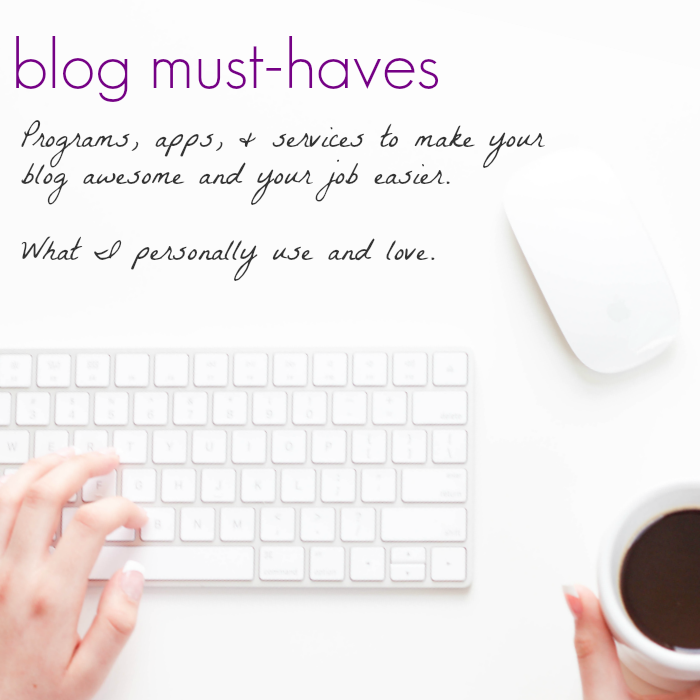 And there’s a full-fledged challenge version which is less than $4 / week! 2. 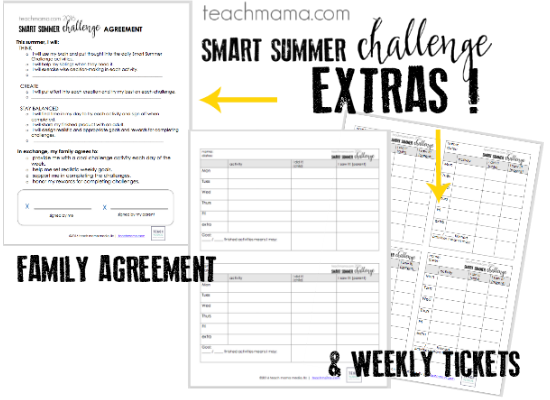 If you want to officially join the challenge and receive weekly Smart Summer Challenge Resource Guides head on over to the teachmama shop. It’s a steal, really. 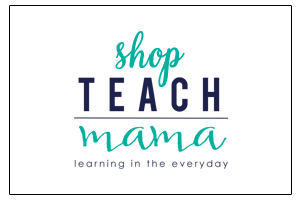 $24.50 to join one challenge (either 4-7 years or 8-14 years) or $44.50 to join two challenges (maybe you need both because your kids fall into both age ranges). 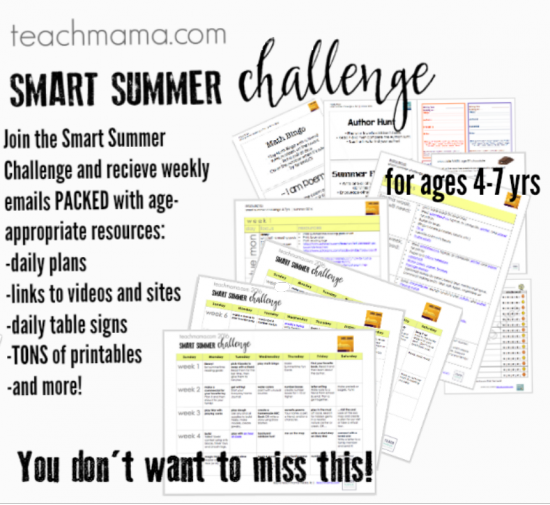 Each week, you’ll receive the Smart Summer Challenge resource pages packed with the links you’ll need, the printables, and each and every daily activity for your child for the next week. 3. 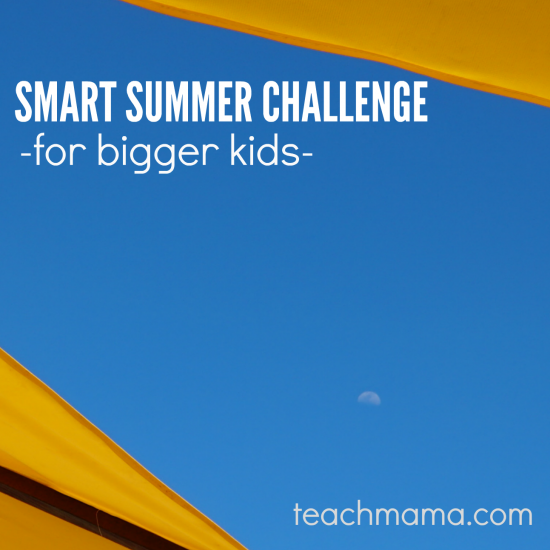 Give your kids the skinny on the Smart Summer Challenge. 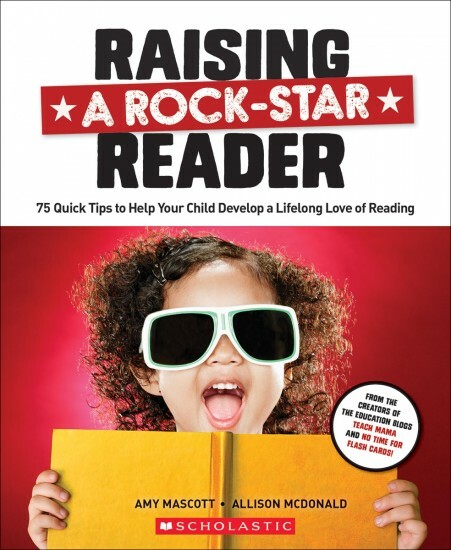 Tell them: This summer is totally going to rock. We’re doing a Smart Summer Challenge with tons of kids around the world. That means, each day, you’ll have a fun activity waiting right here on the table for you. All summer long. Not even kidding. You’re that lucky. 4. 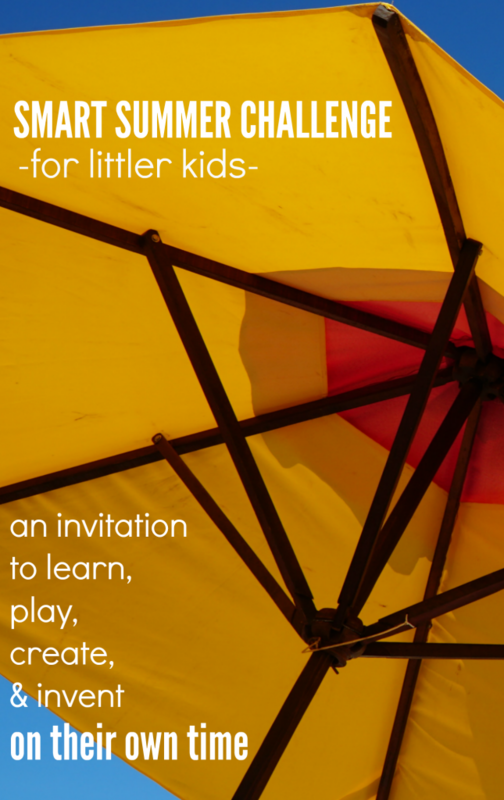 Start learning, playing, creating, inventing, and thinking alongside your kiddos! 5. And? Share! 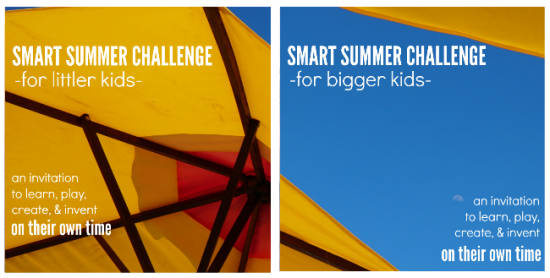 Share your #SmartSummerChallenge via instagram or twitter to really be a part of the challenge. We will have a few goodies along the way for families who jump in on the fun. 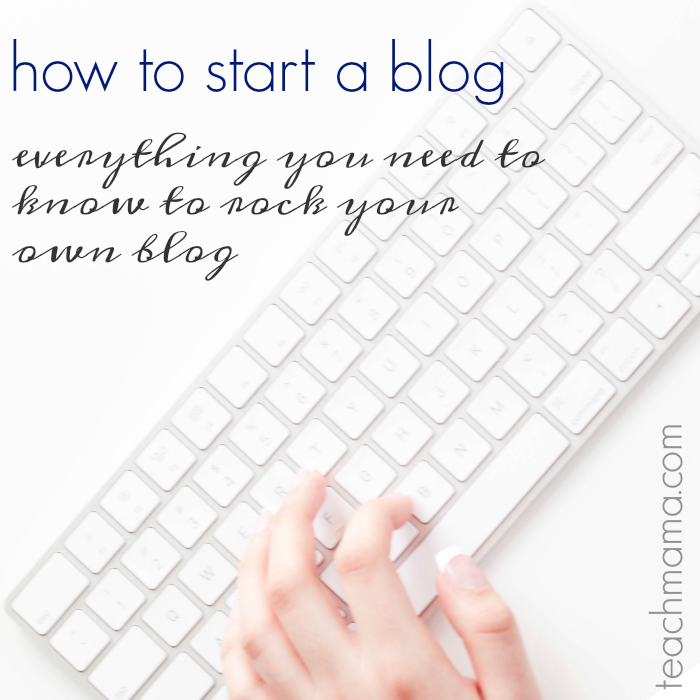 So start sharing and start learning. 6. Now. Go ahead and create the summer of your dreams. Well. . . Wait. What’s holding you back? My kids. They’re totally not game for anything anymore now that they’re tweens and teens. Um. I understand. I get it. My kids have days when they just want to hole up and ignore me. And that’s fine. But there are many days when they want fun things to do. They want an excuse to play with their old faves, to get their hands dirty, to explore and have fun. And our daily Smart Summer Challenges let them do just that. Me. I’m busy. I don’t have time for this. Yes. You. Do. I’ve got every single thing you need right here. Fourteen weeks. Links to resources and everything. 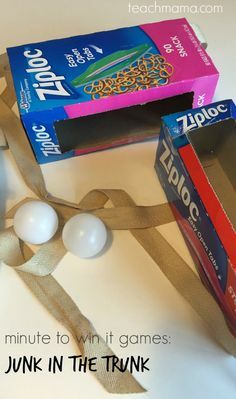 Just print out a few things, gather supplies the night before and set it out on your table or a small shelf or somewhere so it’s all there when the kids wake up. They’ll do it when they’re able. In fact, I’ve so got this covered, that if you officially join the challenge, for less than $4 a week, you’ll have access to every single thing you need for the entire fourteen weeks. Every link. Every printable. Bam. Okay, well. . . I may just be convinced. Awesome. We’ll see you there! 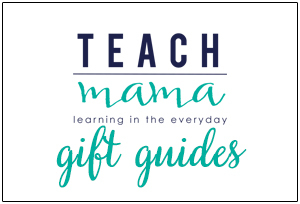 Head over to the teach mama shop and join in on a challenge now! please note: Some suggested activities may involve a book, product, or supply that you need to purchase in advance. All supply lists will be sent the Wednesday in advance, and most products will be linked to in Amazon. It is suggested that if you don’t already have an Amazon Prime membership, you grab one now! am I the only mama that loves school? I love my step kids, but sometimes those few hours where they’re at school during the week is the only time I feel like i have some of my sanity still intact! It’s a ton easier to keep the house clean when I have those hours free, too. don’t get me wrong, I’m excited to spend time with them this summer, but a small part of me will sure miss those kid-free hours (even though the 2 year old was still home with me). 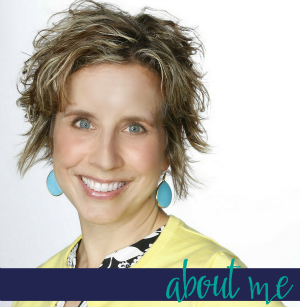 I’m now working on making sure we have fun, affordable, at home activities to work on so they have something to work on and I can still get some housework done! Sarah, my friend, you are NOT alone! I’m looking forward to having you on the Smart Summer Challenge, friend! My son is 16 (he’ll be 17 in DAYS, ACTUALLY). i JUST SIGNED UP FOR THE FREEBIE JUST TO SEE WHAT IT’S ALL ABOUT. IT SOUNDS LIKE FUN. 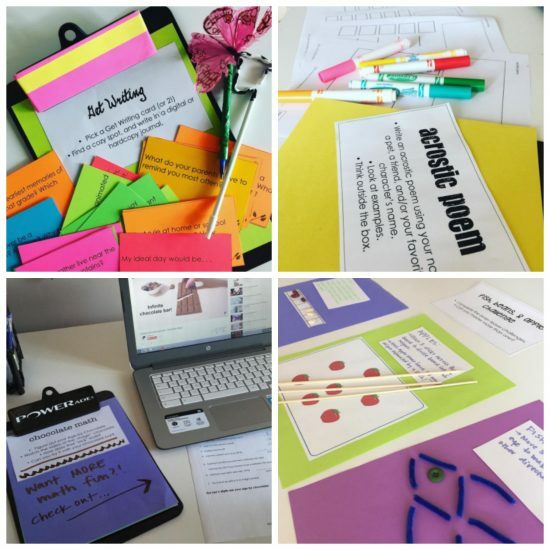 Thanks so much for sharing at Inspire Me Monday link party. Very interesting. I’m a teacher myself and I’m currently looking into activities for my two year old son now that I will be home all summer and he won’t have daycare. this is exactly what i look for and i’m glad that i stumble upon it. 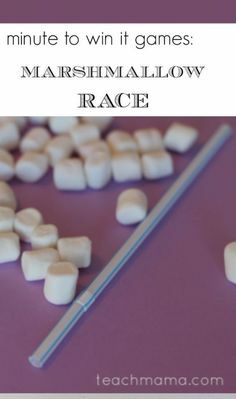 i’ve been thinking of creating projects for my son to do this summer so that he can learn and have fun at the same time. now i don’t have to spend my time searching and researching. i can simply get your idea and to put it at work. thanks for preparing such an awesome program!